iRealHousewives | The 411 On American + International Real Housewives: Mohamed Hadid Addresses Sexual Misconduct Allegations! 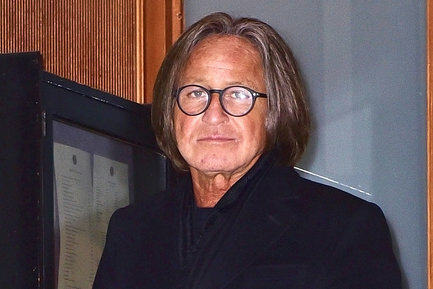 Mohamed Hadid Addresses Sexual Misconduct Allegations! Mohamed Hadid is denying sexual misconduct allegations made by model Miranda Vee. Mohamed told TMZ that her account of the events are "totally untrue." He revealed that the meeting took place about two years ago, after he said that she said she was a fan, and "when we met it was not a date and not once did I touch her." It all went down when Kate Upton made sexual harassment allegations against Guess co-founder Paul Marciano. Upton, a one-time Guess model, took to Instagram this week and shared her experience with the brand, writing, “It’s disappointing that such an iconic women’s brand @GUESS is still empowering Paul Marciano as their creative director #metoo." After she spoke out, Vee then recounted her own alleged experience working with the brand and meeting Hadid, also on Instagram. "I met with paul at his @guess headquarters that is actually a apartment where he sexually harassed me & after that passed me on to his friend mohammed who was going to meet me for “coffee” i thought it was a professional meeting but It was just me, him & champagne where he date raped me in a apartment. All to get a test shoot for guess. LAST year when I tryed to speak out about it they found out & made me sign a NON-disclosure agreement & I only agreed to sign because paul threatened me & said he would get me disappeared if I ever say anything. #TIMESUP Why should we have to stay quiet because they have the power? #METOO"
The father of supermodels Gigi and Bella Hadid also told TMZ that he plans to file a defamation suit against the 23-year-old model, and noted that she should go to the proper authorities and not social media to address her allegations.